A brokerage account is used to buy and sell stocks, bonds, mutual funds, exchange-traded funds, index funds, options, futures, foreign currencies, real estate investment trusts and so on. A brokerage account is an arrangement between a stockbroker and investor to invest their money and buy securities on their behalf. The brokerage account exists mainly for investing, and it is used to buy and sell stocks, bonds, mutual funds, exchange-traded funds, index funds, options, futures, foreign currencies, real estate investment trusts and so on. Determine the needs: The investor needs to determine their investment goals, plans and the amount they are willing to invest in the stock market. Then they need to decide on choosing a full-time broker or a discount broker to suit their trading needs as brokerage is a company that buys and sells stocks on behalf of the investor. The full-time brokers are for investors who are serious in their investment plans, and the discount brokers are for investors who are planning a casual investing. The investors should also be aware of the fact that full time brokers will charge a higher commission as they are at the service of the investors 24/7. Compare the sites: Many companies offer online brokerage account. Before zeroing in on one brokerage firm, the investor has to compare the other brokerage firms in the market and the packages they provide to their clients. Speaking of different brokerage and targeting them with specific question helps in measuring their response and the willingness to satisfy a customer. The quality of support and service matters very much in this regard. Sometimes, there will be a breakdown of “options” selection. The investor could also open a standard account and later convert into a tax saving account at the later stage of their trading. The investor can fund their brokerage account through instant transfers from their bank account or through wire transfers. When opening a brokerage account, the investor should be careful with their details and also ensure the authenticity of the brokerage firm as there are many scams present in the market. They should even make sure that the website is encrypted with https:// at the beginning of the address. The brokerage firm will also offer much educational contents via blogs on their website; the investor has to take advantage of this feature and enhance their knowledge on the trading of stocks and securities in the market. 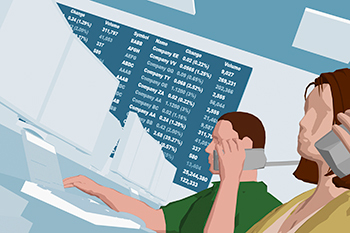 These are the some of the step and investors should know before opening a brokerage account.